In the year 2000, we officially started CJ’s Landscaping Company, LLC. At first, we offered just basic landscaping services, but eventually we were able to expand to include year-round (including winter) with shoreline restoration. Yes it can be done in the winter with little to no impact on your lawn. 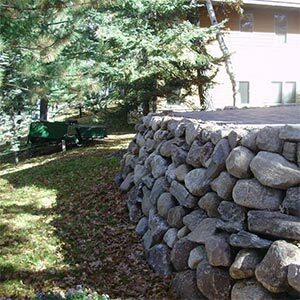 Building and repair of retaining walls, installation of patios and walkways, installation of irrigation systems and underground lawn sprinklers, light excavation, rip rap, snow removal, sodding and seeding, tree installation and tree removal in the Brainerd Lakes Area. 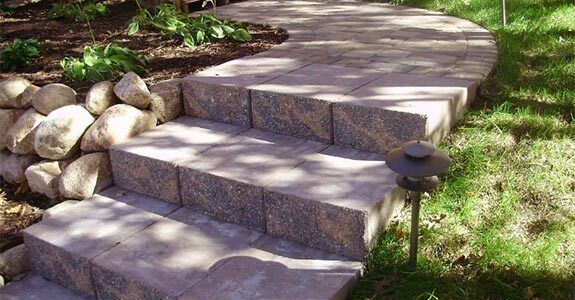 We also grew in size and scope, and have now reached our goal of being one of the most trusted, dependable and versatile landscaping services in the Brainerd Lakes Area. A lot has changed for our family and the Brainerd, MN area since we first started CJ’s Landscaping Company, LLC 15 years ago. But we’ve made sure that our quality customer service and landscaping that goes above and beyond have remained a constant. We continue to deliver our signature prompt, personable and professional service, and we’re proud of the great word of mouth reputation we’ve built up as a result. We hope you’ll get in touch with us for any and all landscaping services, from shoreline restoration to tree service, in Brainerd, MN. Our family looks forward to meeting yours!